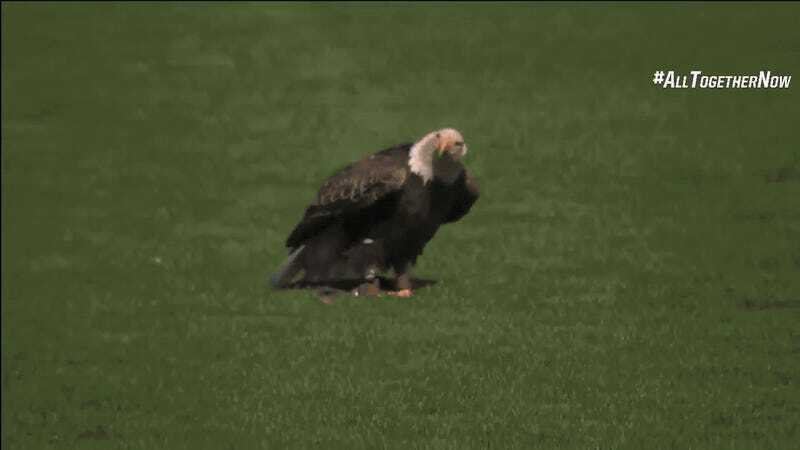 British Columbia native and Seattle Mariners pitcher James Paxton was standing politely at attention for the national anthem when an ostensibly trained bald eagle decided it would rather be on his shoulder than the ballpark grass. Paxton showed tremendous poise, however, by calmly accommodating the bird until it realized its mistake. Good Canadian that he is, Paxton probably apologized to the eagle before its handler took it away.